A huge thank you to everyone who helped in the promotion of The Spark Ignites and to those who entered the Rafflecopter Giveaway. The lucky winner of the $50 Amazon Gift Card was Rose Foster and the winner of the signed copy of Spark was Robert Palovick. Congratulations to our winners!! 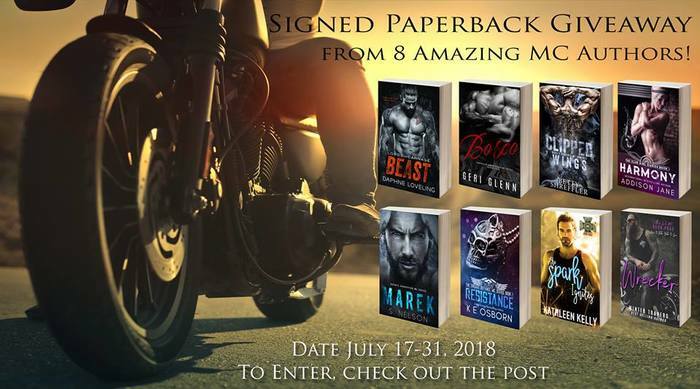 8 Amazing MC Authors have come together to bring you one killer giveaway! 8 Signed Paperbacks to feed the summer reading need!